With so many Geiger counters available online, it's easy to become confused when comparing specification and features to meet your needs. First, ask yourself, "why are you looking to buy a Geiger Counter and what is your application?" Your answers to this question will refine your search for a Geiger Counter model that will best satisfy your need. Anyone living close to a nuclear power plant. First responders who need a reliable and accurate Geiger counter. Interested in science and want to perform nuclear experiments? Survivalist being prepared for a nuclear accident or emergency? Gadget lover who wants to play with these instruments to satisfy your curiosity. Prospecting for uranium ore or radioactive materials is an interest. Collecting - checking vintage Fiestaware plates or glow-in-the-dark clock hands for radioactivity? Before we look into features you need to look for in a Geiger Counter, let's first define what is a Geiger counter. After all, you do not want to purchase an instrument that is not a Geiger Counter! 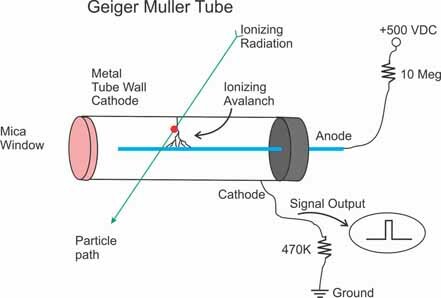 Geiger Counters are instruments that can detect and measure radioactivity using a Geiger Mueller tube. Geiger Mueller tubes are commonly referred to as a GM tube tube. The original design of the g-m tube by Hans Geiger and E.W. Mueller in 1928 hasn't changed much and the tube's sensor function remains the same. 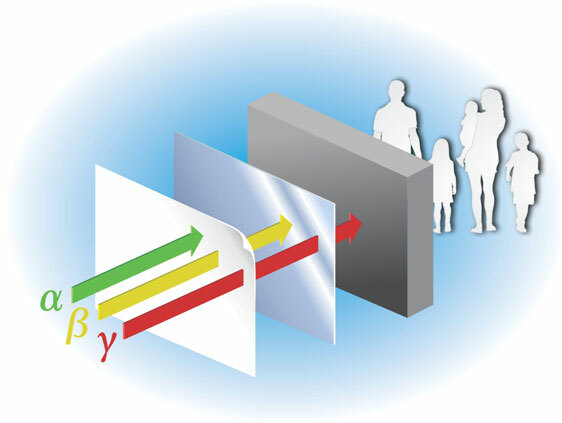 Radiation, as it passes through the GM tube, ionizes the gas within the tube. The ionization initiates a momentary avalanche of electrons accelerate by the high voltage potential used to power the GM tube. This avalance, create a momentary conductive path between the wire at the center of the tube (Anode) and the wall of the tube (Cathode), see figure 1 resulting in a 'click' sound. By measuring the number of the clicks, the instrument indicates the radiation levels. The GM tube sensor is the heart of the Geiger counter and to be a Geiger counter, the device has to contain a Geiger-Muller (GM) tube.